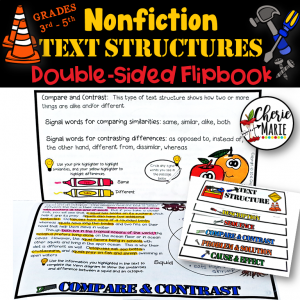 This common core toolkit contains all the essential resources for guiding students in analyzing details provided by the narrator or character when describing a character, setting or event in depth. 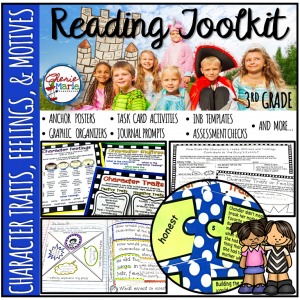 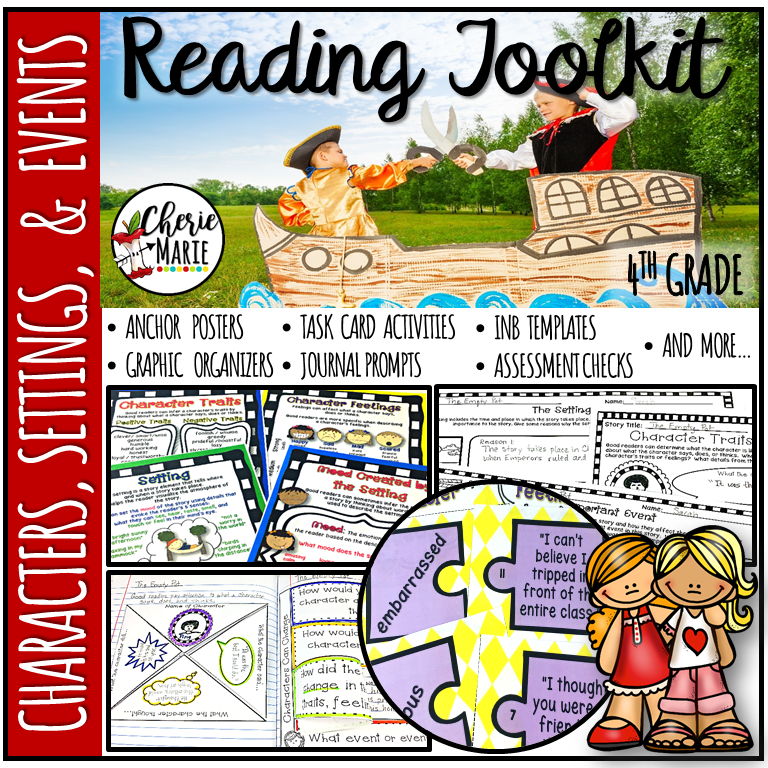 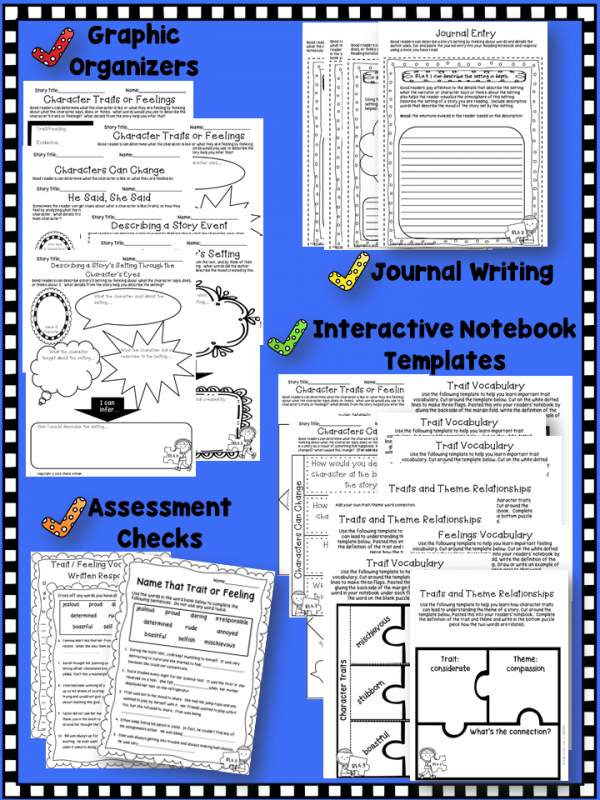 The graphic organizers, interactive notebook template activities, vocabulary templates, and journal activities are specifically designed for teaching RL 4.3, yet are versatile and can be used with any story/passage and reading activity, whether it be with read alouds, guided reading, independent reading, partner reading, during listening centers or even as formative assessments. 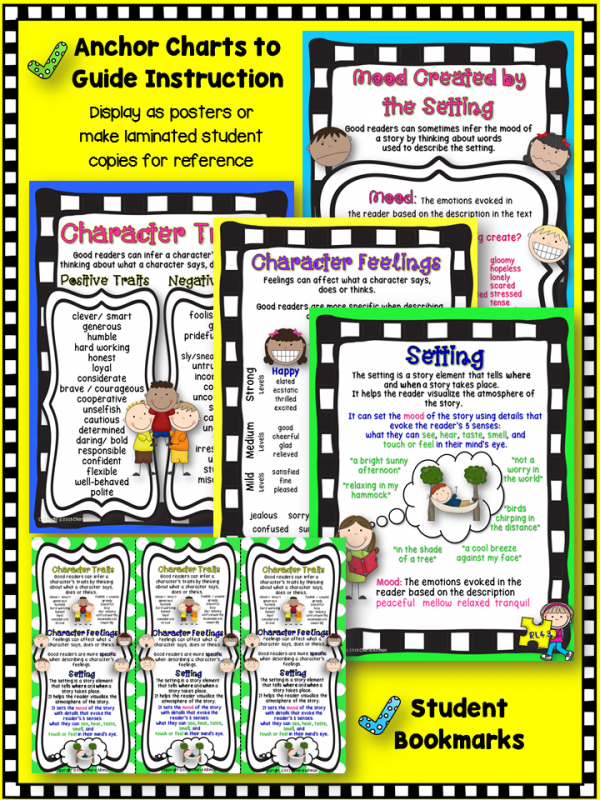 The posters will become students’ go-to resource for identifying and using specific language to describe characters’ traits and feelings, as well as the mood and tone of story settings and events. 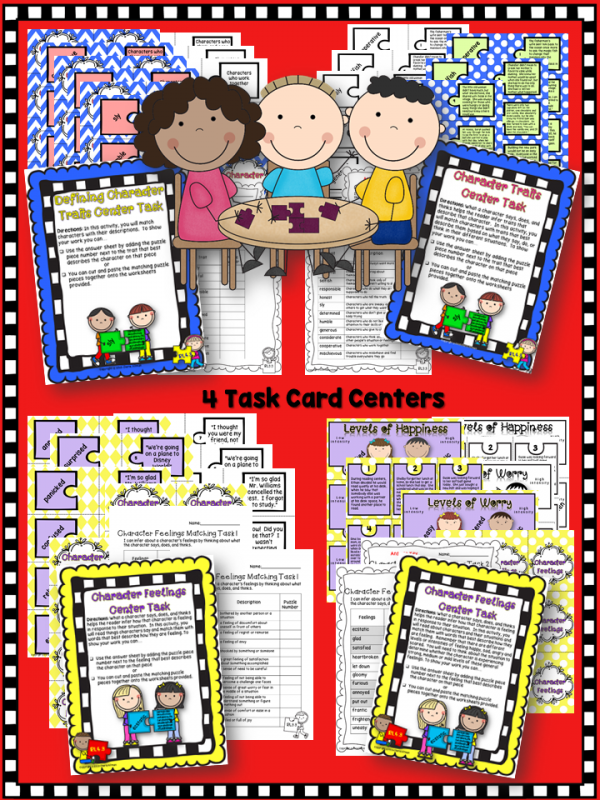 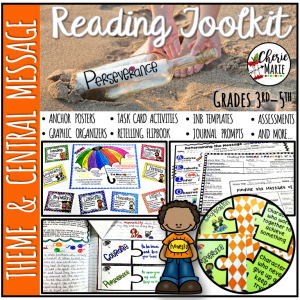 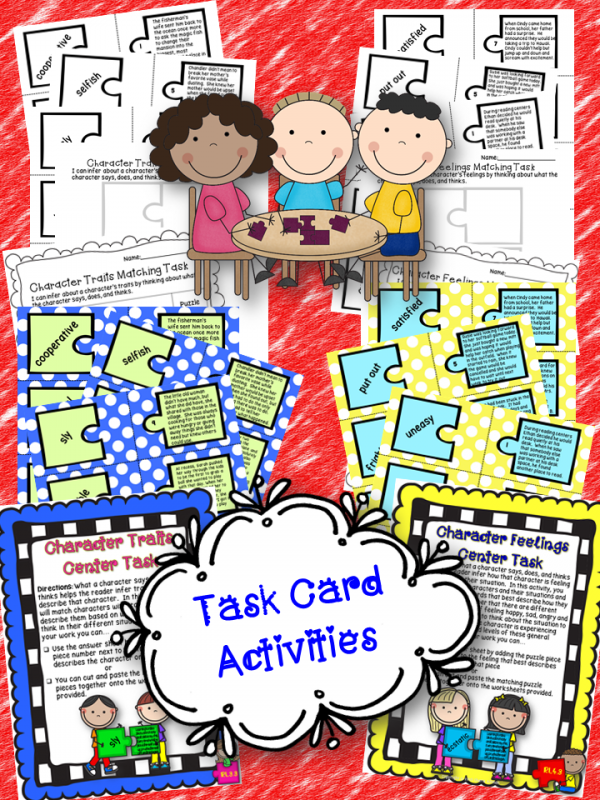 This kit also includes four task card center activities to give students additional practice with this standard.